This was the best season in the history of YISS Men’s Volleyball. Beyond the outstanding finish of 1st place Conference and 1st place Tournament, the bond within the team was one of a kind. The sense of brotherhood amongst the boys was something truly noticeable by everyone who interacted with them. The years of hard work that players had put into the sport finally paid off with some of the best volleyball the school has seen. The final game of the tournament left witness to the joy of playing volleyball on everyone that watched. There are so many highlights and accomplishments from the season. Beyond the obvious achievements (Best Setter: David Suh, Best Passer: Steven Kwon, MVP: Tatsumi Himoto, 1st Place Conference, 1st Place Tournament. All Conference: Joseph Yu, Steven Kwon, Tatsumi Himoto, Chris Yoo. All Tournament: Tatsumi Himoto, Brian Oh, David Suh, Sam Kang), the greatest accomplishment this team had was the bond of brotherhood they demonstrated. Never has Coach Mooi coached, nor seen a team, that has shown as much collective encouragement, passion for the sport, and support as the 2012-2013 YISS Men’s Volleyball Team. 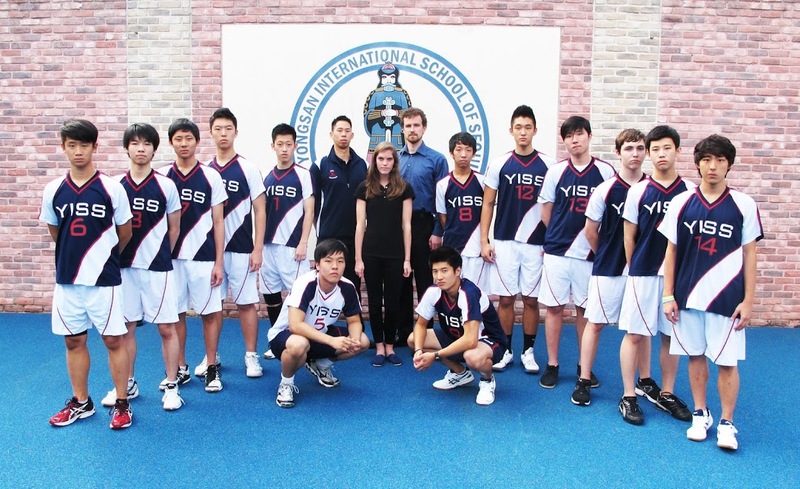 This was recognized by many of the students and faculty of YISS as well as students and coaches of other schools. All in all, a great season!